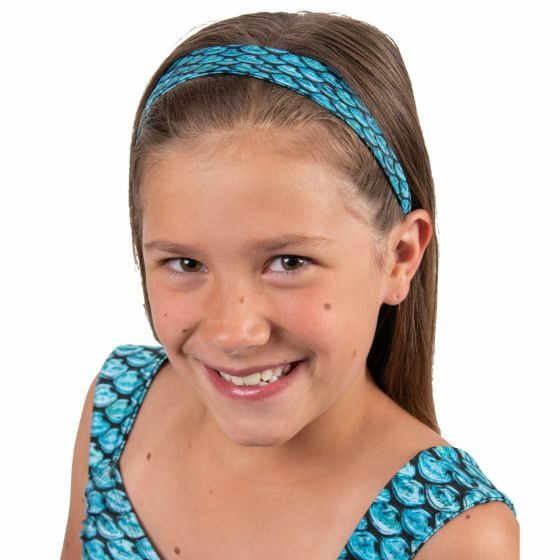 Complete your mermaid makeover and dazzle your fellow friends with our non-slip mermaid headband for kids in a Tidal Teal scale pattern! Part of the Tidal Teal collection from Fin Fun. 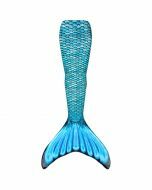 Call it the finishing touch to your mermaid look. A mermaid-scale headband for kids made of silky soft material featuring a non-slip grip, this hair accessory is just the thing to hold your mermaid waves back and make your look complete. 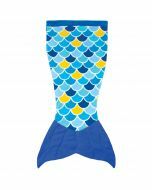 Bubbly scales in a vibrant teal color boasts an air of tranquility and style, whether coordinated with our Tidal Teal swimsuit, mermaid tail, leggings or any casual outfit you want to add a bit of mermaid magic to.